Robin Williams was one of Hollywood’s most renowned comedians and his efforts to make people laugh paid off greatly as he has been loved by countless fans all over the globe. 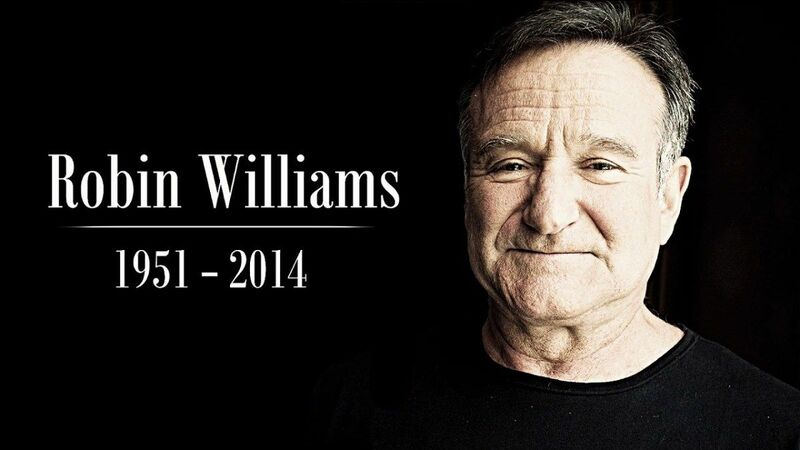 Since his passing, there has been a void in the hearts of fans but that is what “Robin” aims on doing. It is a recently released biography on the life and times of the famous comedian and it will surely bring back a ton of memories. Robin is such an icon in the movie industry. He had played various roles that made almost every one of us cry and laugh at the same time. He had also played a big part in our childhood as he voiced Genie in Disney’s “Aladdin”, played a part in “Hook,” “Jumanji,” “Happy Feet,” “In Search of Dr. Seuss,” and so much more. In spite of the many roles that he portrayed and how many times he appeared on screen, truth be told, we still don’t know much about him. However, the book, titled “Robin,” written by New York Times’ Dave Itzkoff sheds more light on his life. This biography is not a funny book, though, as it circles on Robin’s life off stage. It talks about the part of his life that we never knew about. His personal life, his success stories, hand even his struggles are all told in the book. “Robin” is a nice book to read as it opens the eyes of the readers about the cons of being in the limelight too. It’s a well-written book and it’s not just the usual biography where you’ll read generic stuff like when he was born, where, how he was discovered, and whatnot. The author, Itzkoff, delved deeper into Robin’s life story by doing a thorough research about Robin’s life to bring in more information about how the actor’s life really was. He interviewed the iconic actor’s friends, family – his third wife, Susan Schneider, and son, Zak Williams – and others who have worked with him during his time as one of the top artists in Hollywood. Itzkoff also included some of the information that he gathered directly from the actor himself when he was alive (he first interviewed Robin in 2009; after that, they still kept in touch through the years). It’s also a good thing that the author also shared how Robin struggled financially even if he has one of the biggest names in Hollywood. His sharing of health and professional issues that plagued the actor before he died also is a good move as it makes us understand the actor more and it gives us a better understanding on some of the health issues that he suffered from. All in all, “Robin,” even if it makes us sad and miss the actor even more at the same time, still is a good read. The way the biography was written is astonishingly superb. It’s so well-written that other authors like David Thompson applauded it. I’ve read several biography books but this one is probably the best for me so far.